Paint 6 pieces of art in 6 weeks! 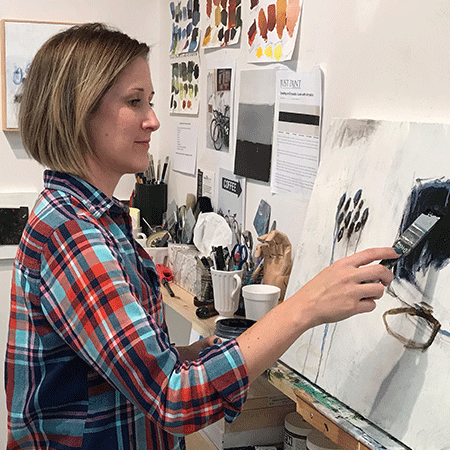 Learn a new, contemporary acrylic painting technique each week with instructor Kristen Ide. 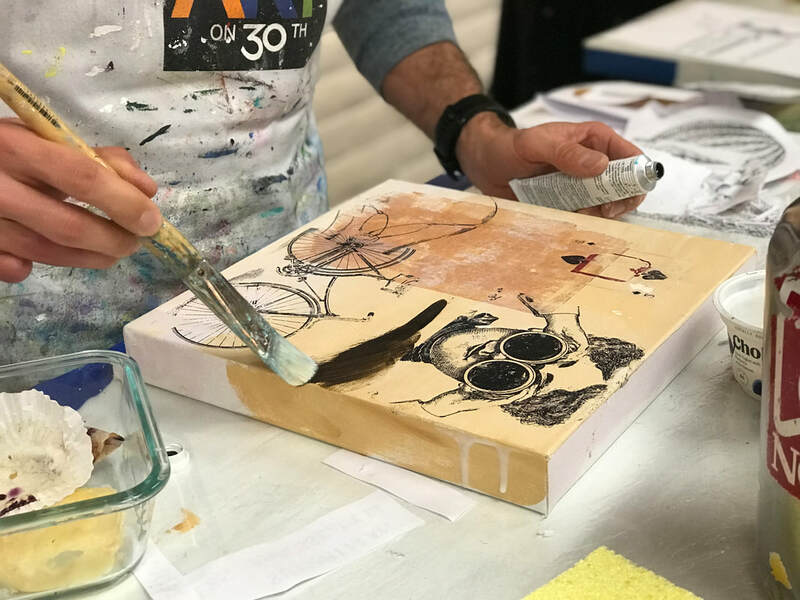 In this course, students will be inspired to paint with acrylics through taking a look at other top artists who use these techniques, watching a class demo, and doing a step-by-step painting project together. No more "blank canvas syndrome." This is a great way to get started, stay inspired, and walk away with multiple pieces of art! Below, you can check out the topics covered in each session. There are four sessions that rotate throughout the year. Kristen is a graphic designer, an award-winning artist, and certified art instructor. She studied Art Education at Middle Tennessee State University because it seemed to be the most natural path: she loved art and she loved helping others. Being a part of bringing other's ideas to life and giving students confidence to move their art forward is one of her greatest joys. Her work and styles vary across multiple mediums: from mixed media abstracts to expressive watercolors to plein air oil/gouache landscapes.​ You can view her work and watch her paint live during opening reception nights at Art on 30th in Studio 14 on the second floor. "a great community to find my own artistic expression while learning techniques to enhance my work."